Hello Family and Friends. 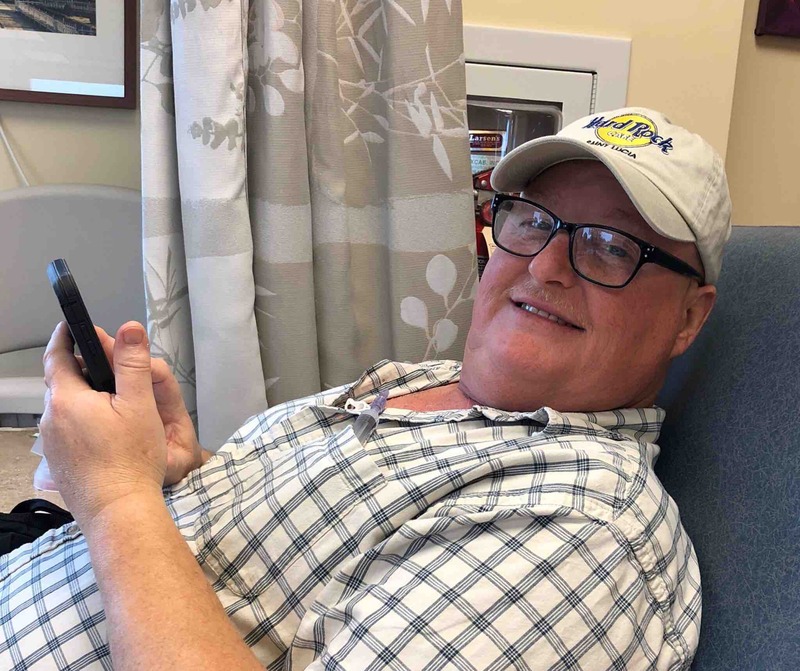 Our brother Terry has reached the halfway point and with several more weeks to go in his chemo therapy treatments, we’ve received some GREAT news. God is good, and we've been told his latest PET Scan shows the cancer is all but gone, in fact, Dr Pham says he would be comfortable calling Terry in remission. Now with bills coming due and household responsibilities to be met, we've set an initial goal of $1,000 to help Terry and Debbie in their time of need. However, as we all know, this is a drop in the bucket in comparison to what's projected, with co-pays, travel expenses, inability to work bringing home a paycheck and all that comes with battling cancer, their portion could easily exceed $6,000 or $7,000. As some may know, Terry has a giant heart when it comes to giving and blessing others, now as hard as it is for him to receive, it is time that he is on the receiving end of the giving blessing. We greatly appreciate those that have stepped up already in support. A huge thank you to our extended family at North Coast Family Fellowship, you truly know how to show God’s love. And to Terry’s fellow co-workers with the City of Seaside, the giving of your treasured vacation hours has been a financial life saver. Please join with us in prayer as our brother Terry continues to recover from his Lymphoma. And know it is with our deepest appreciation and most sincere humility that we now ask for your financial assistance in his recovery of expenses. It would be a true blessing to both Terry and Debbie if we were able to surpass the $7,000 mark. We ask that you please, pray, give and share. Alife depends on it. Hey all, thanks again from our family to yours. We are so grateful for all who have given of time, financial support and prayers. You may notice we are just a little shy of meeting the GoFundMe goal. Please continue to keep Terry and Debbie in prayers and if you’re able to help meet the GoFundMe goal that would be an answer to prayer. Looks like donations are up and working again. Feel free to test it out and make one. Thank you. I’ve been informed the link to donate is broke and I have a help request out to Go Fund Me. Please stay tuned. Thank you Tiffany. WOW! You guys rock. We met our goal of $1,000. However, we are estimating at least $5,000 in co-pay plus travel expenses and other lack of income needs. We increased our goal to $2,500, and 250 share, can we make it happen? I believe.